Rainbocorns Unicorn Plush Toy – Pink – Just $24.99! Rainbocorns – a surprise is hiding under every Rainbocorn Sequin Surprise Heart! 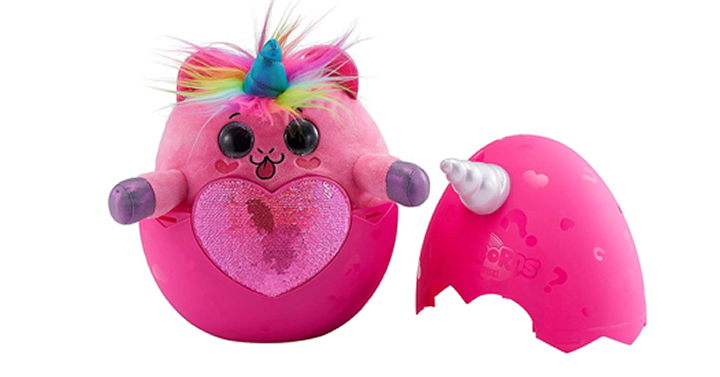 Every Rainbocorn hatches from its bright mystery egg and has a unique reversible sequin heart that reveals a magical surprise when swiped! Get on over to Amazon and get the Rainbocorns Unicorn Plush Toy – Pink for just $24.99!